Each year Harris Dental raises funds to help children in our community and around the world. 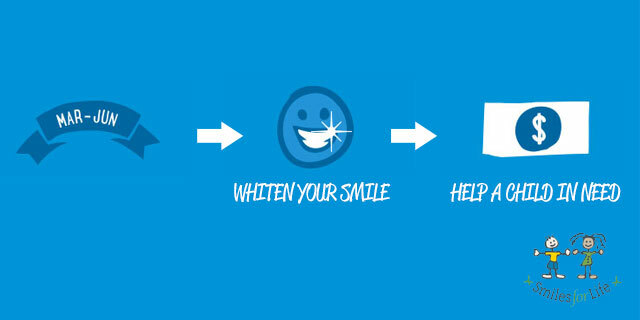 We do this by donating 100% of the proceeds from all of our teeth whitening procedures performed in each of our Harris Dental locations from March through the end of June to Smiles for Life Foundation. As an additional incentive, each tooth whitening patient enjoys their smile brightening procedure at a discounted rate. Already have a bright smile? No problem! We offer gift certificates and accept donations. This year, 100% of proceeds will benefit Smiles for Hope Foundation. This amazing foundation helps teams like ours go on dental outreach expeditions to places like the Dominican Republic and Nepal. Our mission is to raise funds during this years campaign, to bring hope to the poorest communities of the Dominican Republic and and volunteer our dental services to those in need. Here at Harris Dental, we are committed to making a positive difference in the lives of our youth. Partnering with Smiles for Life Foundation, allows us to do just that! Thanks for your support!